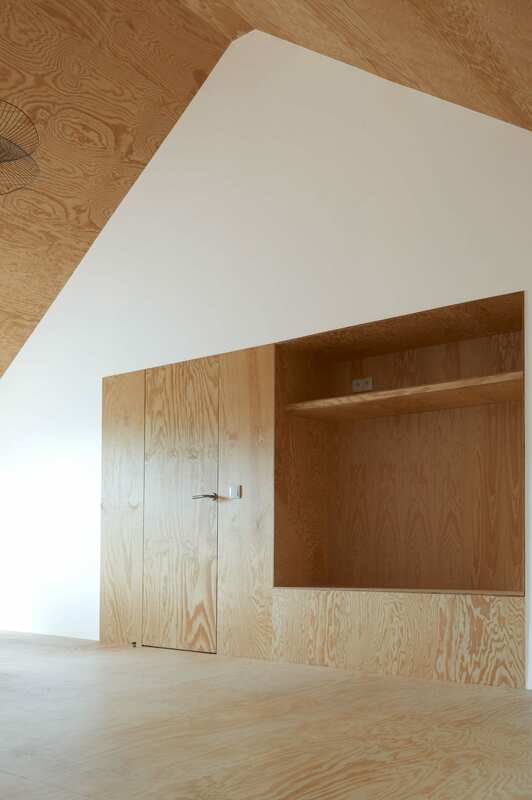 Frank Minnaert Transforms Old Barn into a Contemporary Country House. 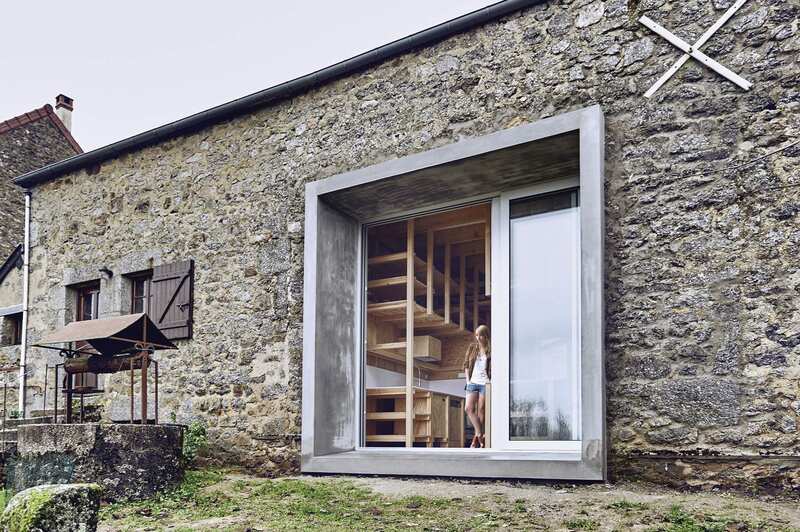 An Old Barn in Lormes, France Transformed Into a Contemporary Country House by Frank Minnaërt. 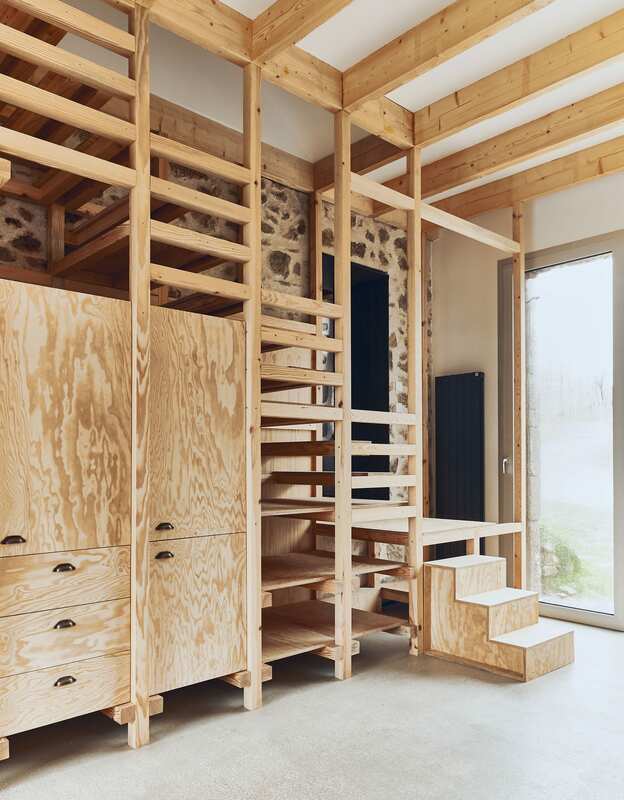 Paris-based Minnaërt Studio seems to have a budding flair for breathing new life into tired or forgotten places. 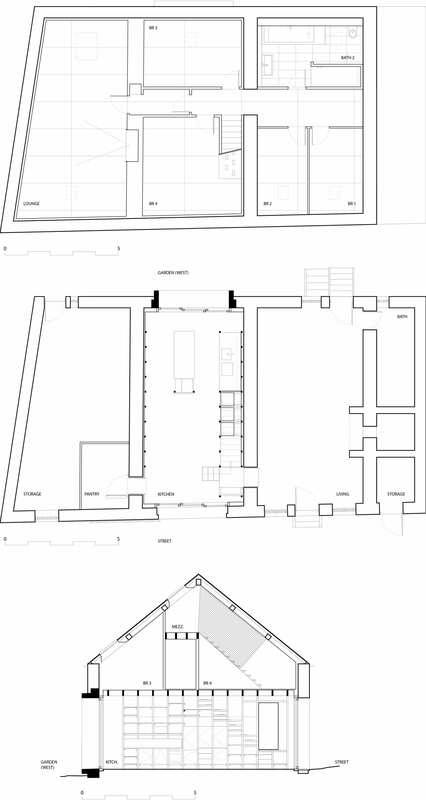 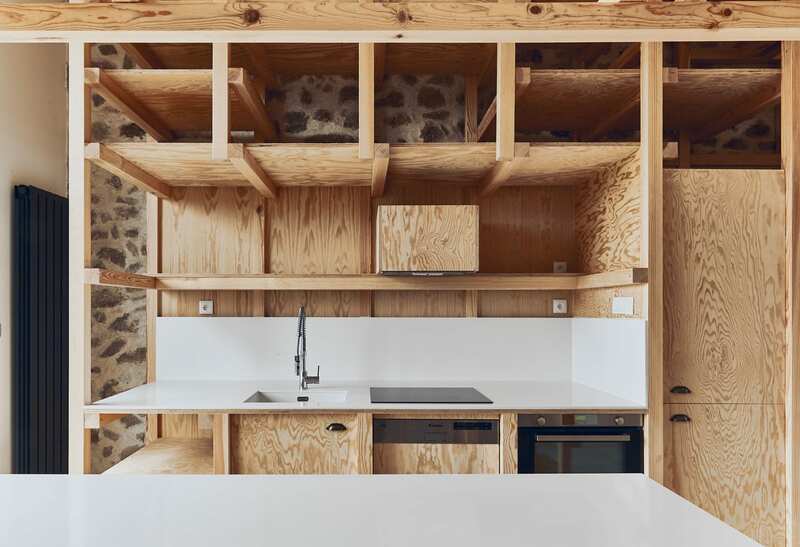 Led by French-Australian architect and former University of Technology Sydney School of Architecture lecturer, Frank Minnaërt, the studio’s projects include a handful of Paris apartment and office interior renovations—and then most recently, the restoration of an old stone barn, set on the outskirts of Lormes, somewhere in the Nièvre region of central France. 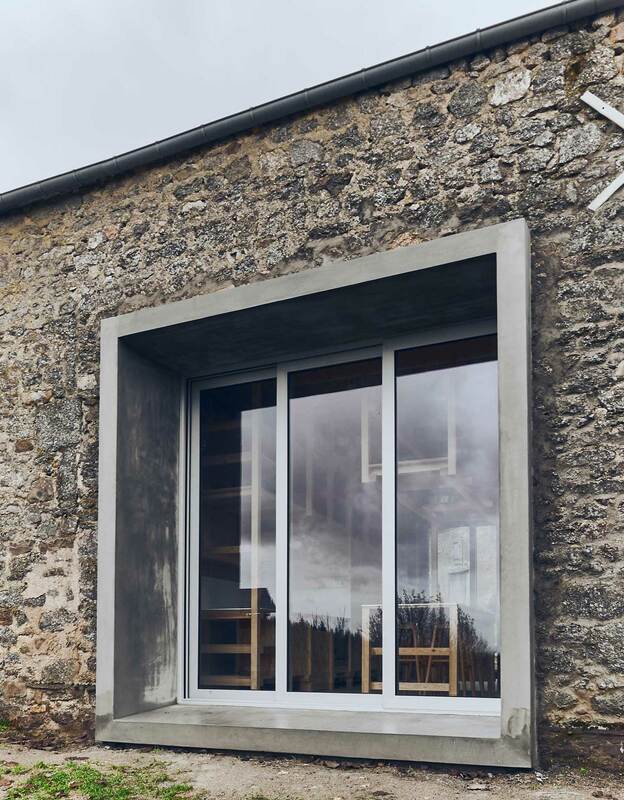 To paint a picture – Lormes is a little village of about 1,400 souls, whose very concise Wikipedia page references just one famous former inhabitant: Henri Bachelin, a 20th century novelist who wrote mostly about music and the beauty of provincial life. 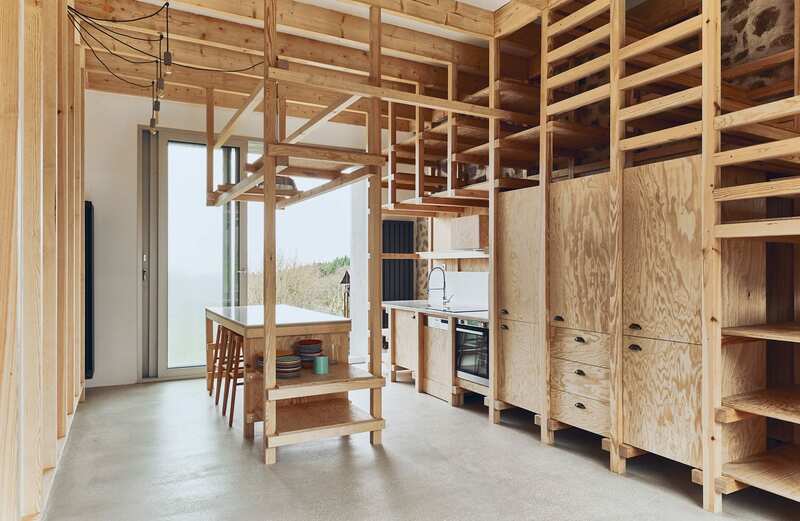 Minnaërt Studio’s repurposed barn sings the same sort of tune – appealing to the simple country life, and basking in the natural glory of protected woodlands, lakes, and traditional farmland. 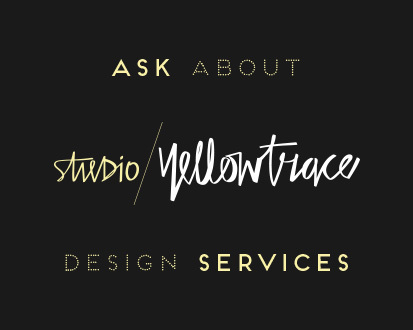 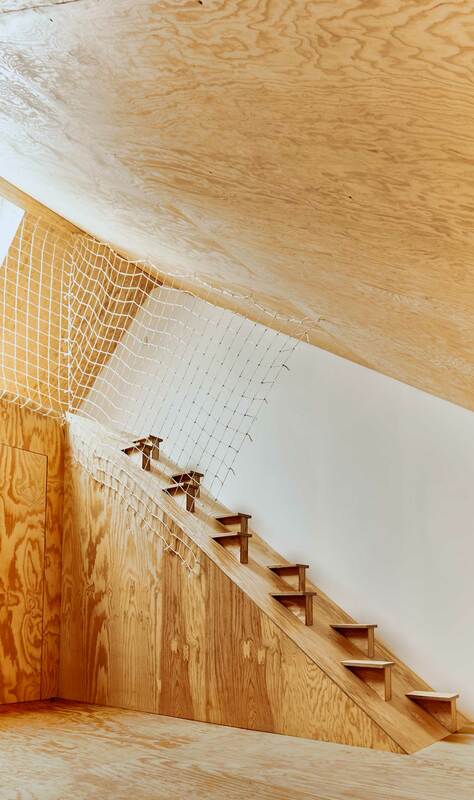 Related: Stories On Design // Barn House Conversions. 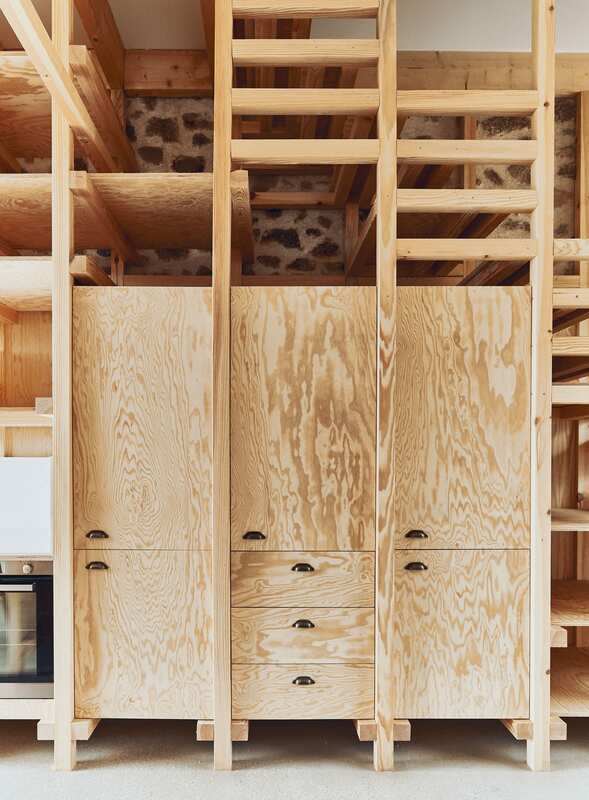 Created for a Parisian couple after a little respite and a quiet countryside escape, the barn renovation involves new floors, a large, breezy opening in the western wall, and additional rooms: a kitchen, lounge, bedrooms, bathroom, and a pantry. 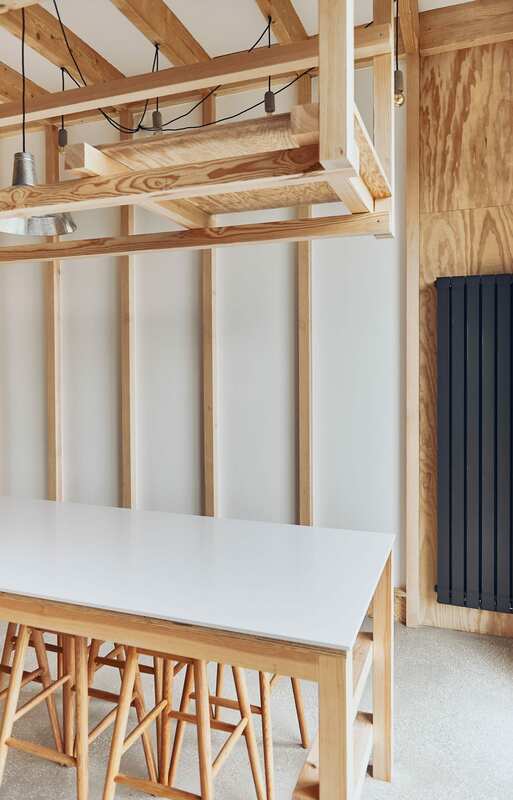 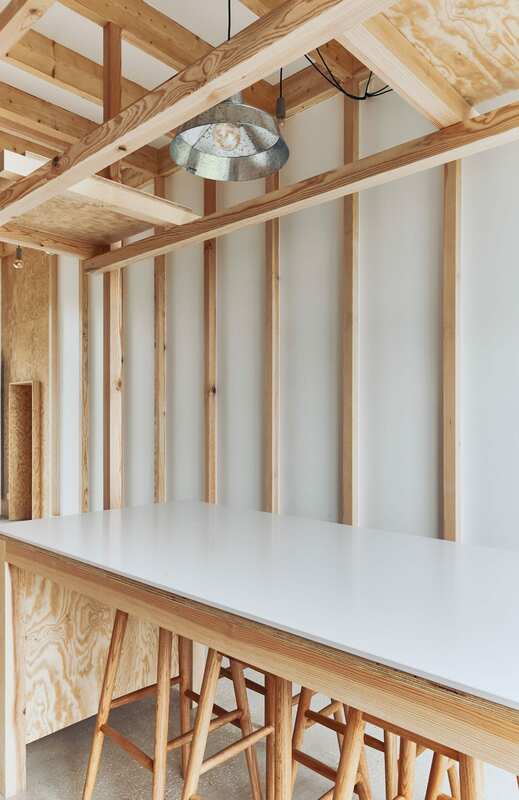 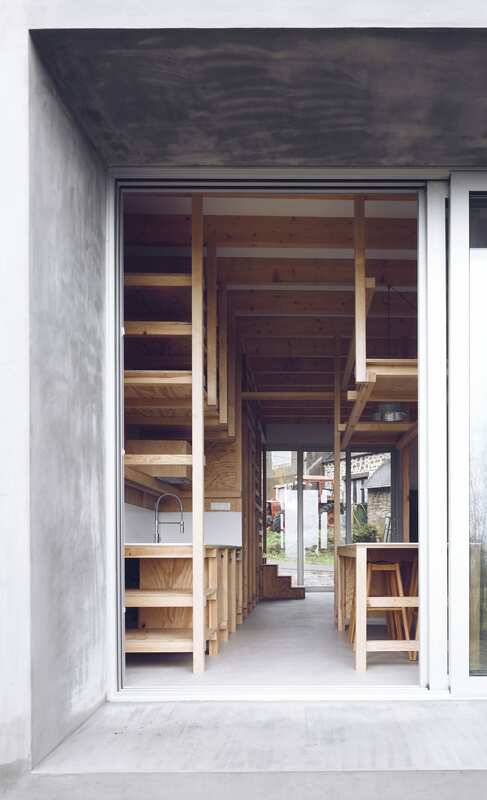 Materials have been left raw where possible, such as timber structures, plywood cladding, steel, and ceramic accents. 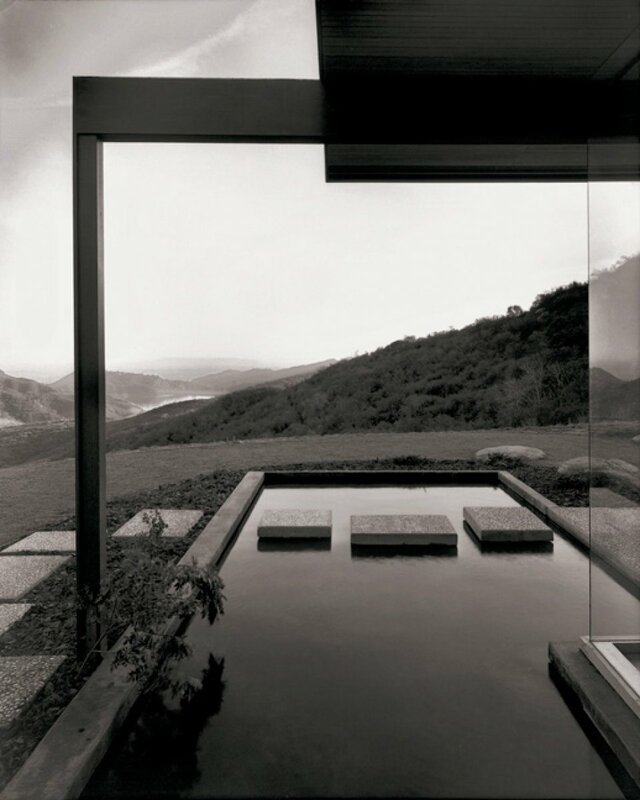 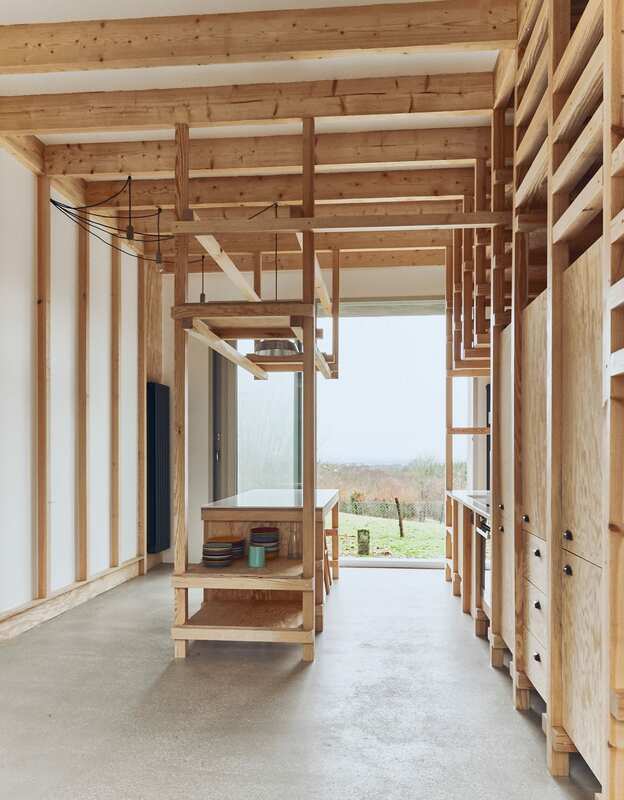 The 3x3m opening in the kitchen wall features a deep concrete frame – creating an arresting landscape vista to the west, and an open channel to the surrounding garden. 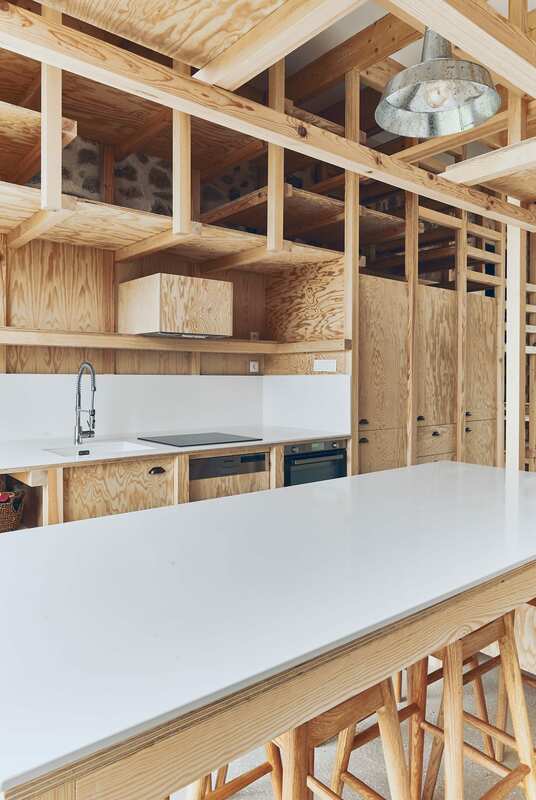 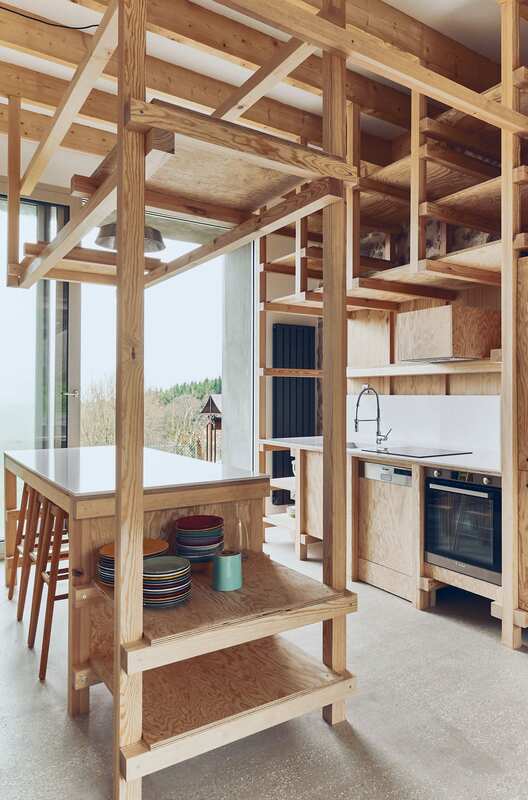 Inside, a structural timber grid guides the logic and layout of the kitchen, connecting the island bench to the stairs and storage space. 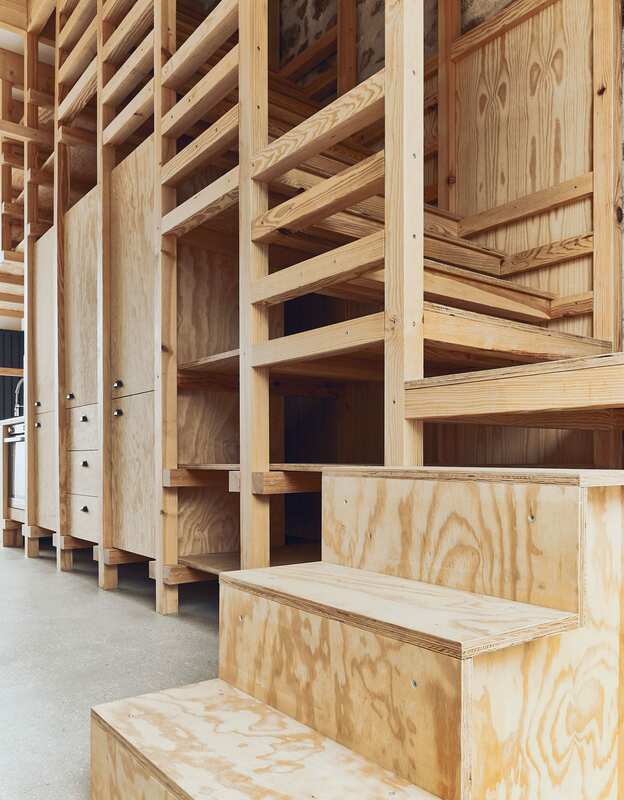 It’s a nod to the building’s agricultural spirit – with wide, stacked shelves designed to store garden produce. 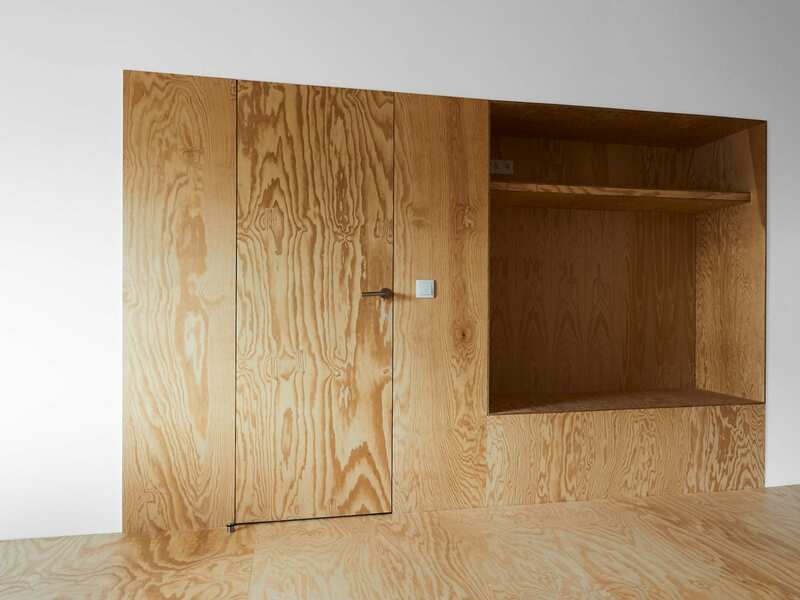 In the living room, the floor, walls and ceiling form a continuous plywood ribbon, and a large recess for home cinema. 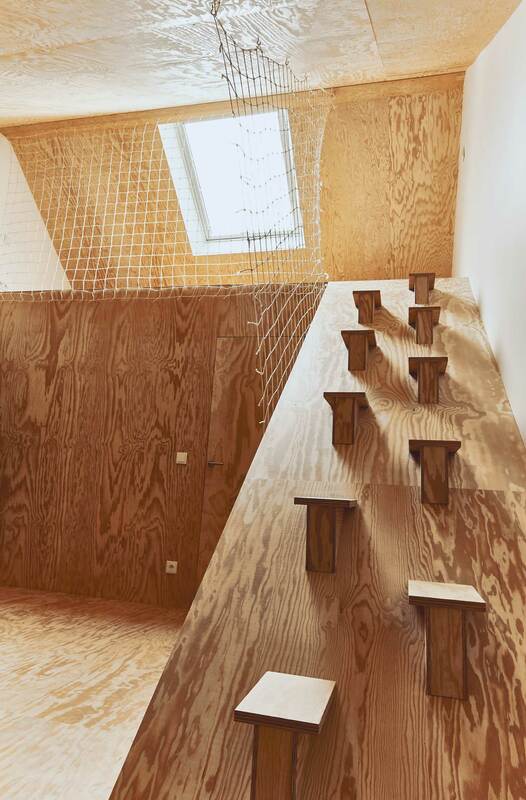 A skylight in the master lets light to flood in, and a timber ramp with playful footholds leads up to a timber mezzanine. 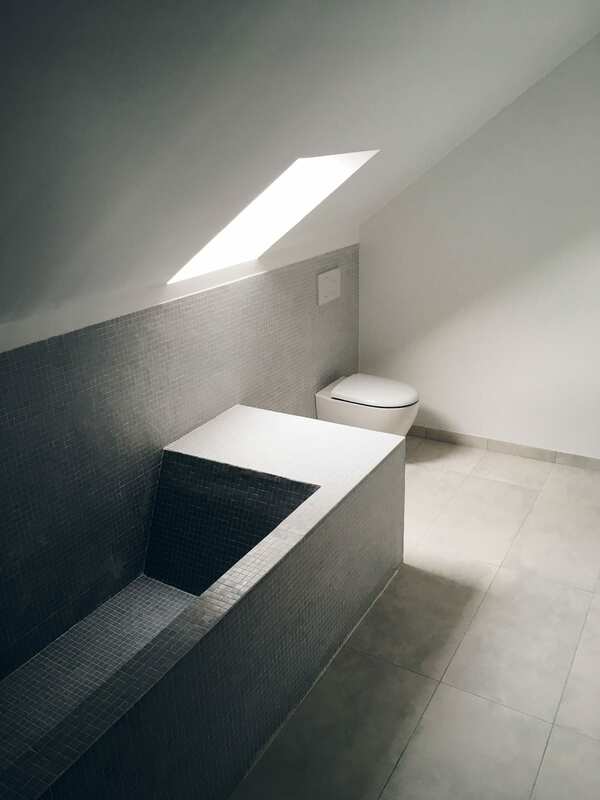 And in the bathroom a stormy blue-grey mosaic takes over for a custom tub, and the floor is laid with stone-coloured ceramic tile.